For over nineteen years, Carrie has been a Top Producer dedicated to the Luxury Real Estate Community in Hawaii. She continues to serve her clients as a Broker In Charge at Hawaii Life Real Estate Brokers and Director of Hawaii Life One on the Big Island of Hawaii. 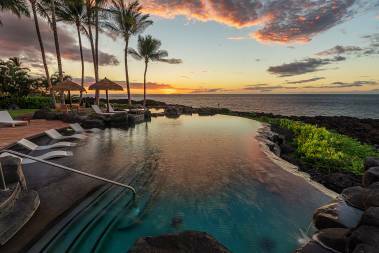 Hawaii Life One is the Luxury Division of Hawaii Life Real Estate Brokers, a curated collection of Hawaii's exceptional properties and locations. Her unparalleled knowledge of Big Island luxury properties, combined with her International business relations, hard work and focused determination have earned her multiple recognition by Hawaii Business Magazine's "Top 100 Realtors in Hawaii". Her combined gross sales of over a billion dollars in residential and land sales volume statewide over the years has kept her in the Top Broker rankings. Born and raised in Hawaii, Carrie has lived and trained internationally in more than a dozen countries. From coast to coast, Carrie's passion for the ocean led her home to the deep blue enveloping the Big Island of Hawai`i where she worked extensively with National Geographic on underwater documentary films and photography. In addition, she became a Coast Guard certified submarine co-pilot, rescue scuba diver and free diver. 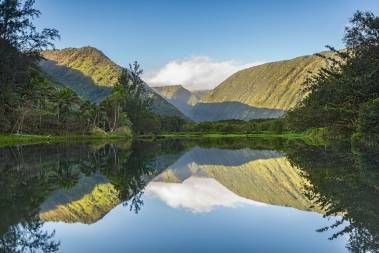 Her love of nature has given her a deep appreciation for Hawaii's sense of place - perhaps the most invaluable quality in the island's luxury real estate. Carrie began her real estate career at Clark Realty Corporation and quickly became a Top Producer. For four years, Carrie led as Principal Broker of Kukio Properties. Dedicated to the Luxury Real Estate Community, she represented both sellers and buyers who value excellence, knowledge and personalized results. She continues to serve her clients as the Broker in Charge at Hawaii Life Real Estate Brokers and Director of Hawaii Life One on the Big Island of Hawaii. "It was a pleasure working with Carrie on our past few transactions. She is an expert in her market and she provides the knowledge, service, and advice to help her clients make well informed decisions efficiently and with confidence. We would highly recommend her to anyone looking for the best real estate professional in the community."